AMES, Iowa — Lyndsay Nissen, an Iowa State University graduate student in integrated visual arts, won Best of Show in “Bits, Pixels and Practice – Oh My! A New Media Juried Show” on display through Feb. 28 at the ISU Design on Main Gallery, 203 Main St., Ames. 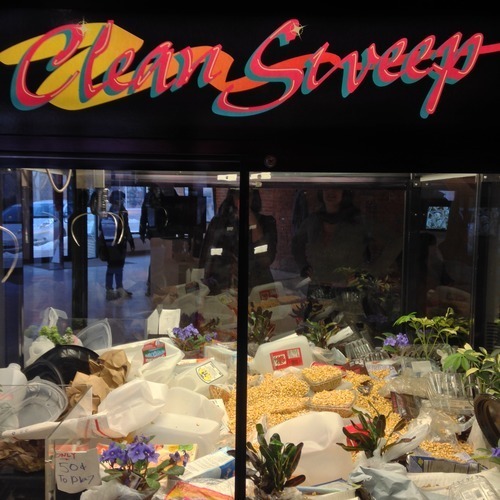 Nissen, of Ames, earned top honors for “Clean Sweep,” an installation featuring a claw machine in which the usual stuffed animals or other prizes are replaced by trash (discarded plastic grocery bags, etc.) and live prairie plants. Participants can choose either to try to pick up trash with the claw or to rescue a plant. The machine also displays nitrate concentration data collected by the United States Geological Survey from rivers across the US. As the nitrate levels rise, corn kernels are dispensed into the machine through a hopper, covering the contents and hindering retrieval.